Zero 88, Eaton’s performance lighting control series, returns to the 2015 PLASA London Expo show floor – on Stand E30 - at the ExCeL Centre with new products and releases. 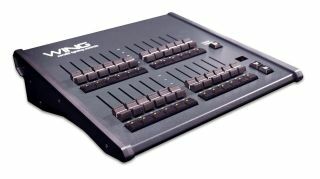 PLASA will be a part of the new Zero 88 FLX lighting console’s development. Following its launch earlier this year, Zero 88 launches a range of apps, upgrade options, accessories and feature enhancements designed to make FLX a powerful, versatile, durable, portable and extendable lighting control range. “FLX 8” joins the line-up. Standard FLX consoles can now also be upgraded, using the new fully-online upgrade system. Available 24-hours a day, the system offers updates in individual universe increments and takes only a few minutes. Step by the stand to view the latest developments and sign up for a free training session. Sitting alongside FLX and FLX 8 will be the new ZerOS Wing, allowing the expansion of FLX to a maximum of 168 channels or playback faders simultaneously. A number of configurations will be heighted at PLASA to demonstrate the flexibility of the ZerOS Wing, which is now shipping. The Wing will also bring new standards of adaptability to all ZerOS consoles via a future software update that can either be used alone with a PC or connected to other ZerOS consoles like ORB XF and Solution. Especially for PLASA, all ORB XF consoles will be upgraded to 8 universes for free at 4096 channels. Also included in the ZerOS update are improvements to Remote Monitor, Tracking Backup, Solution LCD performance, Cue Triggers and the ORB learn functionality - allowing the console to learn and record timecodes from SMPTE and MIDI inputs for instant replay. The free “Remote” and “Monitor” apps are also for both iOS and Android allow FLX (and all other ZerOS consoles) to be controlled and monitored wirelessly, delivering remote operation from almost any mobile device. Zero 88 will be previewing the latest FLX software release – ZerOS 7.8.5, which is the continuation of a planned roll-out of feature and capability enhancements fulfilling several customer requests from FLX worldwide. The new Chilli Bypass power control and dimming cabinet and new Split 2.8 DMX splitter with “DMX Fix Switch” completes the new Zero 88 product line-up. A team of demonstrators and product specialists will be on the stand to answer any technical questions and guide visitors through the projects.